"This lightweight organic cotton T-shirt uses no toxic pesticides, benefits soil quality and biodiversity, and saves 27 gallons of water compared to a conventional cotton T-shirt. Fair Trade Certified sewing. 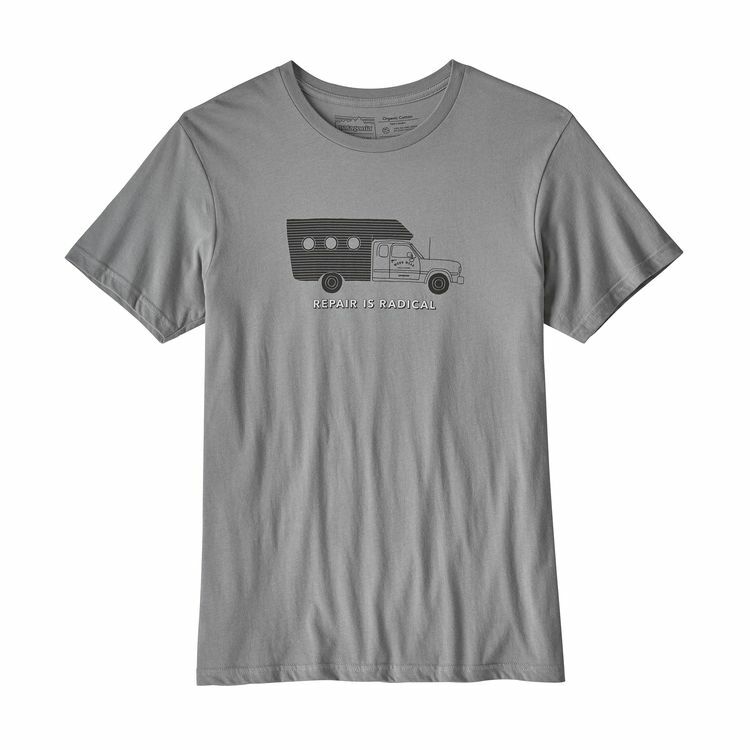 The Repair Is Radical Organic T-Shirt features the Worn Wear wagon. The tee is made from ringspun, long-staple organic cotton that's sourced from member farms of the Texas Organic Cotton Marketing Cooperative. Original artwork is screen-printed with inks that are PVC- and phthalate-free. Crewneck styling and taped shoulder seams for comfort and fit retention. Sturdy side seams keep garment from twisting and shrinking when washed. Fair Trade Certified sewn.